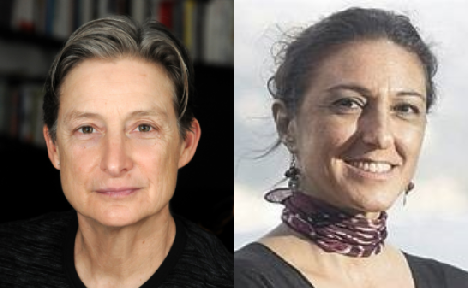 Join UC Berkeley Professor Judith Butler as she talks with Turkish political philosopher Zeynep Gambetti on the idea of public happiness in the wake of public resistance, using the 2013 Gezi Park protests in Istanbul as a springboard. Judith Butler is a Maxine Elliot Professor in the Department of Comparative Literature at the University of California, Berkeley. Her work has been influential in a variety of disciplines including critical theory and gender studies. She has served as Founding Director of the Critical Theory Program at the University of California, Berkeley. She has received many of the highest honors in the humanities, including the Andrew W. Mellon Distinguished Achievement Award and the Adorno Prize from the City of Frankfurt in honor of her contributions to feminist and moral philosophy. In addition, she was the past recipient of several fellowships, including Guggenheim, Rockefeller, Ford, and and American Council of Learned Societies. Zeynep Gambetti is Associate Professor of political theory at Boğazici University. She obtained her Ph. D. at the University of Paris VII in 1999. Her work focuses on collective agency, ethics, and public space. She has carried out extensive research on the transformation of the conflict between the Turkish state and the Kurdish movement, with particular emphasis on space as a vector of relationality. She collaborated with Joost Jongerden to edit the special issue of The Journal of Balkan and Near Eastern Studies on the spatial dimensions of the Kurdish question in Turkey. She has also published several theoretical articles and book chapters on Hannah Arendts political thought and subjectivity, in particular, The Agent Is the Void! From the Subjected Subject to the Subject of Action, Rethinking Marxism (2005) and Conflict, commun-ication and the role of collective action in the formation of public spheres in Seteney Shami (ed), Publics, Politics and Participation: Locating the Public Sphere in the Middle East and North Africa (SSRC Publications, 2009). She is the co-editor of Rhetorics of Insecurity: Belonging and Violence in the Neoliberal Era (New York University Press, 2013), and of The Kurdish issue in Turkey: A Spatial Perspective, London/New York, Routledge, 2015. Among her recent publications are Judith Butler, Zeynep Gambetti, and Leticia Sabsay (eds), Vulnerability in Resistance: Politics, Feminism, Theory, Durham, NC., Duke University Press, 2016.